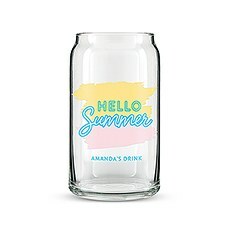 Who doesn’t love a nice refreshing drink on a hot day…or any day, for that matter? 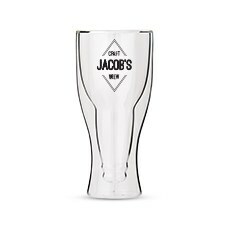 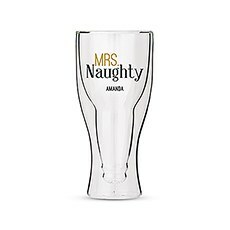 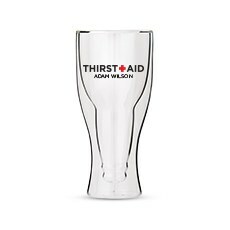 These custom drinking glasses are ideal for any guy who likes to kick back with a cold one when he’s ready to relax. 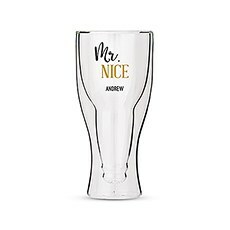 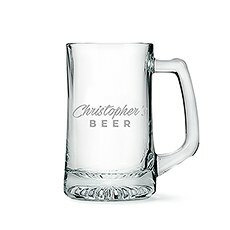 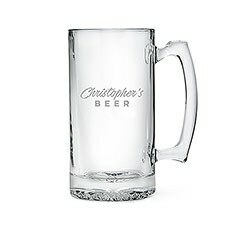 With various glass and mug designs, you can easily find one that suits his drink of choice as well as his style. 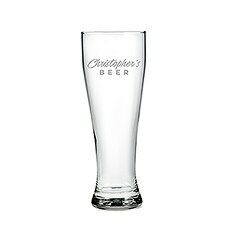 Best of all, there’s an easy way to customize each and every glass in our collection, so it’s much more meaningful that giving just any glass. 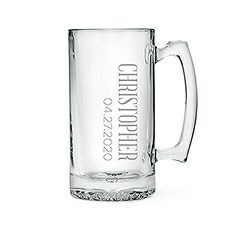 Instead, he’ll get a glass that’s tailored specifically to him and that acts as a meaningful reminder of your friendship. 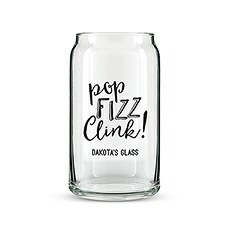 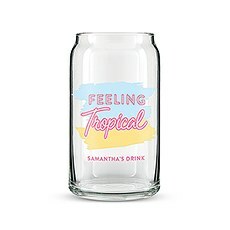 When you scroll through our selection of drinking glasses, you’ll find several fun designs and styles from which to choose. 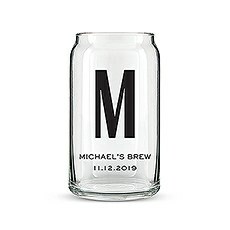 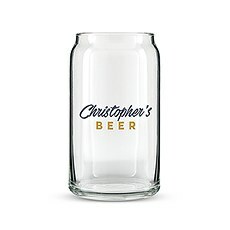 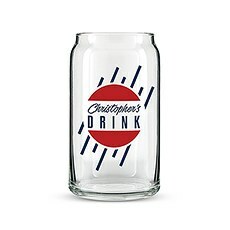 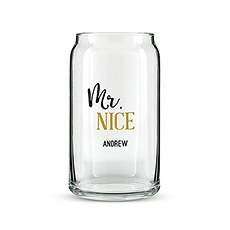 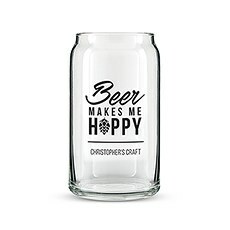 Some of our most popular men’s glassware gifts are our can-shaped glasses. These glasses look like a beer or soda can in terms of shape and size, but they’re much more stylish and chic. 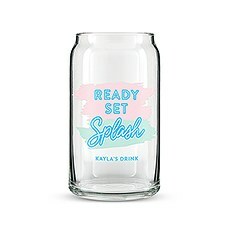 Plus, they come in all kinds of colourful designs, including a number of glasses with a funny or clever quote on the front. Choose how you’d like to customize the glass and place your order to get a winning gift for any guy, regardless of his drink of choice. 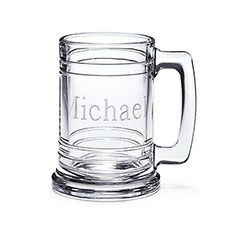 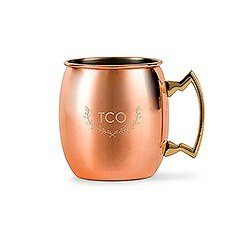 If you’re looking for personalized mugs for Moscow mule cocktails, we have you covered there as well. 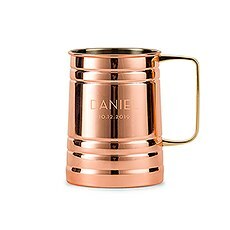 Our mule mugs are made with a shining copper finish and can be personalized with monograms, names and more. This is one of our most classic and elegant options, which is why they’re popular for groomsmen gifts and other special occasions. 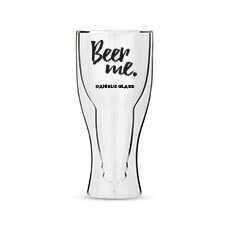 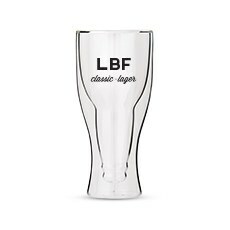 If you prefer some a bit more laid-back, go with our unique double-walled beer glasses or beer mugs. 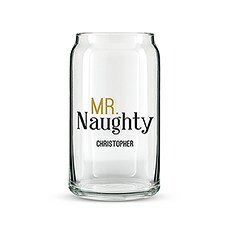 Like our can-shaped glasses, these come in fun and festive designs and have a distinctive look he’ll love. 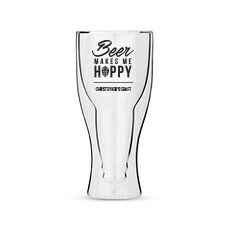 Whether you’re looking for best man beer mugs or a stylish set of copper mule mugs for your own home, this collection of men’s drinking glasses has what you need. 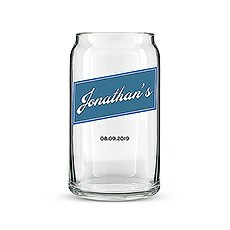 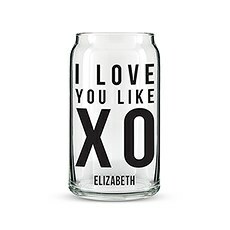 Personalize each item to make it memorable and meaningful regardless of the occasion. 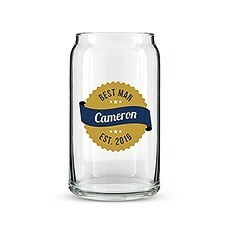 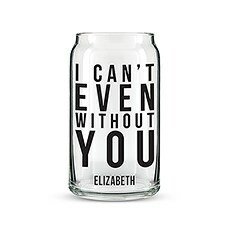 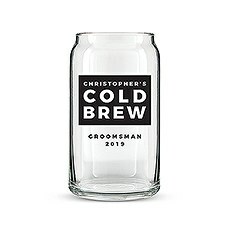 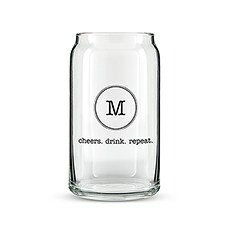 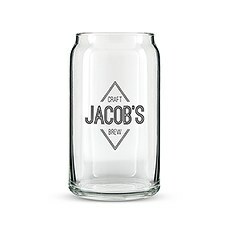 These glasses make excellent gifts for weddings, groomsmen, Father’s Day, birthdays and more.